Melinda Louque received her Juris Doctor from Texas Tech University School of Law. While in law school, Ms. Louque successfully competed in moot court and was an executive editor of the Business & Bankruptcy Law Journal. 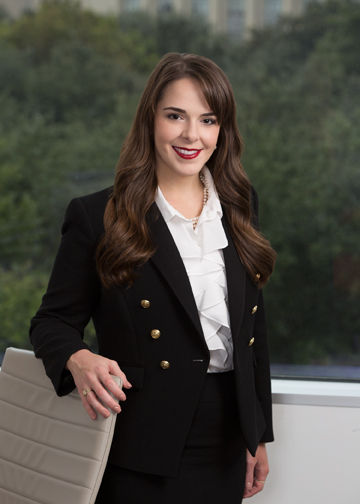 Ms. Louque joined Cantey Hanger after twice previously serving as a summer associate for the firm. Her primary practice is focused within the firm’s commercial litigation section. Sat second chair in 7 day trial that resulted in the jury awarding all requested relief for client. Drafted and won a Summary Judgment Motion in federal court dismissing civil conspiracy claims against client. Persuaded a plaintiff to nonsuit all claims against client. Drafted, argued, and won a Plea to the Jurisdiction dismissing all claims against clients. Drafted, argued, and won a Motion to Dismiss in federal court dismissing Section 1983 municipal liability claim against client.